Is ballet dancing worth for people to do? Don’t get me wrong, a ballet career is extremely challenging with many high and lows as well as disappointments. It is often more tough than what meets the eye, but if the person absolutely loves ballet themselves and possesses an unbeatable passion, then it is worth it. First what makes people become ballet dancers? The passion often comes straight from the dancer themselves, where they feel a strong urge to take ballet classes or commit to dance more seriously. For me, I had always loved to perform on stage and dance all different styles, but ballet was what I loved best. It was my first ballet teacher who spotted my potential to put me forward to train at a vocational dance school. From that point on, the career development plan of a ballet dancer unraveled and dancing became a natural way of my life that grew with me as I got older. What is the main motive for teens to be ballet dancers? 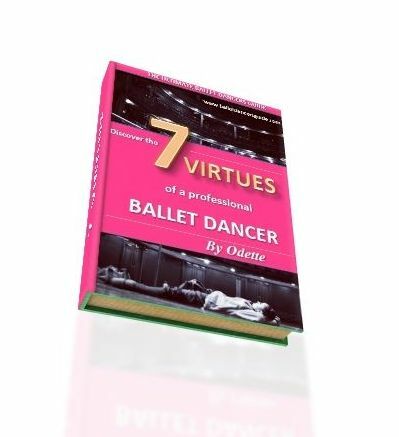 Many young ballet dancers may look at great ballerinas or older dancers to give them their main inspiration. They might think, “This is how I want to become” or “I aim to be like those ballerinas one day”. Ultimately, it is the passion and determination that will drive teens into their older years to become a ballet dancer. What are usually the childhood hobbies of the ballet dancers? Usually, the hobbies tend to naturally lean towards the artistic side like playing piano or singing. For a serious training young dancer, most of their time will be taken up by ballet. Yet of course, dancing would have been most dancer’s greatest hobby so it is just like they are fulfilling their most loved hobby. What are the qualities that ballet dancers need to have? luck and a high work ethic too. How do they train themselves and how can they harm themselves? There are vocational dance schools located all around the world that train young dancers and become responsible for producing the fine dancers of today. It is an intense procedure of practice every day with ballet class, pointe work, repertoire, pilates and learning other styles of dance too. It is very easy to injure the body when on such a rigorous training scheme. The injuries often happen by accident like a sudden wrong landing on a jump or in partnering. Alternatively, an injury on a dancer can build up over several months and lead to a serious pain like a stress fracture or shin splints. Finally, what is the life of a ballet dancers? Ballet becomes the way of life for every ballet dancer and you have to commit your time to this profession. It can be very unpredictable for dancers with contracts for a job only being for a year, or the weekly schedule only being decided daily. Yet it is the performing and learning which dancer’s strive for, and many will be lucky enough to travel the world or perform in the most famous theatres. This is, after all the long hour of rehearsals and perfecting to make the show seamless. How does ballet dancing affect their lives? In some ways for a professional dancer, ballet can take over your everyday life. There are very long hours on performance days and time can feel restricted. There is not much ‘time off’, but for most ballet dancers they love it so much, that all the sacrifices become forgotten and what is most important is improving, progressing and striving for more. What is their life Iike outside of ballet? Surprisingly, ballet dancers can find a life outside of ballet if they put the effort in. This does not mean having to go to endless parties, clubs or bars but it is making the effort to not let ballet dominate your whole life. There has to be a healthy balance between dance and outside life. Whether it is building another little hobby, meeting with friends or catching up with family this is an important part of life which ballet dancer’s love to do.